Close to midnight Jacob became aware of a man approaching. He jumped up and opened his case for the stranger to see the display of shirts, socks, hats, silks, towels and small items of haberdashery. He felt no fear when the man looked him up and down and intimated with words and gestures, ‘Hang on, I’ll get my friend, he might buy something as well.’ Jacob waited with a leather belt around his neck attached to the open suitcase ready for the two men to view upon their return. However, four men came back, one with a knife who deftly cut the belt from around Jacob’s neck and after the other three kicked and punched him, all ran off. Jacob called out for police but when he did find one, neither could understand each other. At 1am all the street lights went out and the moonless night smothered any possibility of Jacob navigating his way home. When he found suitable shelter in a doorway, he once again made his aching body as comfortable as he could. For the first time since he had departed his home country, Jacob had plenty of time to reflect on how immensely his and Eva’s lives had changed in only two months…continued in Dragons, Deserts and Dreams. …This was just the beginning of Jacob’s and Eva’s journey into the 20th Century…. 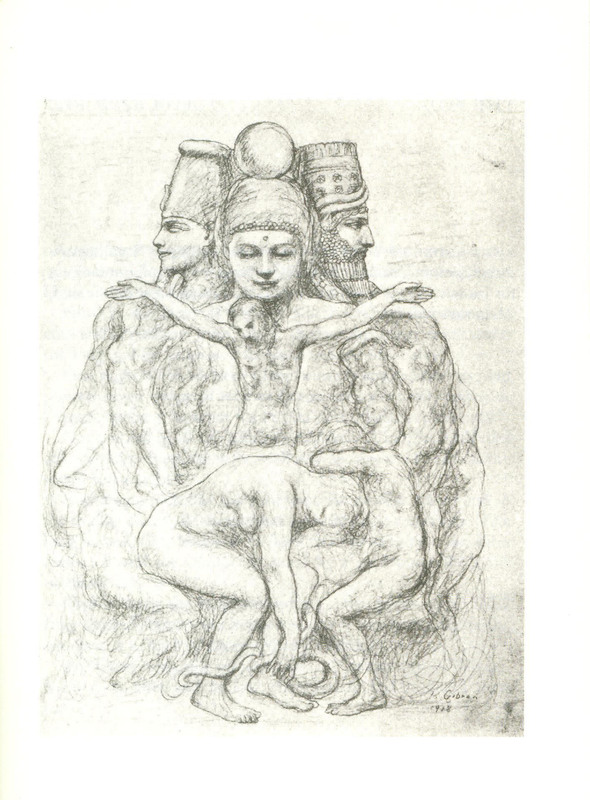 Eleishah’s education of Jacob included teaching him to read and write in four languages and he planned to later school him in the art of translating Assyrian into Arabic. In his first years, Jacob bent to his grandfather’s wishes, working hard at his studies and fully expected to become a priest. The languages he studied were French (his second language) Latin and Greek, and under his grandfather’s dedicated tutelage, Jacob wrote and spoke fluently and eloquently in the ancient Syriac language, Aramaic, Bcharre’s native tongue. This language was, at that time, spoken mostly by Syrian peasants. The religious ideas of the Syrian and Italian peasantry were similar, confirmation of the integration of ideas and beliefs along the charted trade routes between Italy and the Fertile Crescent. Later, once Jacob had emigrated, he made the effort to learn English. The Arab world was a multicultural mix of language and peoples; Jacob’s heritage and talents reflected this. In retrospect, it’s sad to think that Jacob could have achieved so much more for his family and descendents if he had moved out of his cultural and priestly comfort zone. In any event, Jacob changed his mind about following in The Family tradition of priestly services, but, cautiously at first, made the announcement that he would like to marry. It was not until his marriage to Eva (Khowha) Arida that he told his grandfather he did not wish to follow him into the priesthood, which made his grandfather very angry. Eleishah did not speak to him for sometime afterwards. Jacob’s rebellious change of heart may have had something to do with his frequent sojourns into Beirut with friends, in which he experienced the forbidden fruit of city life away from his grandfather’s strict philosophical and priestly instruction. Other events transpired to influence Jacob’s fateful decision. When Jacob was twelve years old, his father, Habib, and uncle Tunnous El Khouri, visited Australia and New Zealand. His uncle eventually returned to New Zealand and bought a vineyard there. The family talked often about the exploits of this adventurous uncle and the young fertile country he had travelled to. …The Fahkrey family in Bcharre must have been heartened then, following their earlier disappointment, by Jacob’s acceptance of their choice of a bride and the wedding was arranged to take place on a Sunday. Within a few months of their betrothal, the young couple had secretly planned to set sail for New Zealand after their wedding. This plan was obviously instigated by Jacob. I don’t believe that Eva fully understood what she was getting herself into, because her early life had been very different to Jacob’s. 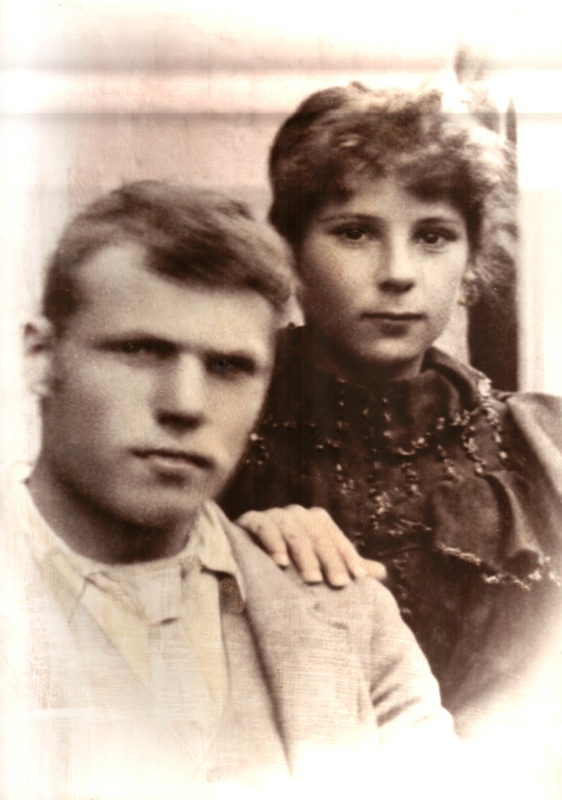 Eva had spent her early life cooking, cleaning, and praying, and was only 15 years old on her wedding day. Jacob and Eva’s wedding ceremony was performed by Eleishah Fahkrey, who was still unaware of his grandson’s intentions to abandon his religious training and emigrate. Eleishah spoke after the ceremony, saying how proud he was that he would soon have a priestly grandson. The wedding ceremony lasted fifteen days, truly reminiscent of the pagan love feasts which so scandalised the early Christian Church. There was much celebrating and drinking, and many guests spent the nights sleeping under trees. Soon after the wedding celebrations had ended, Jacob and Eva continued with their plans to migrate to New Zealand to make their fortune, hoping to then return to Lebanon. Please Syria, Don’t Destroy Beirut! I walked down a Phoenician street the other day, built under Persian rule. A bit bumpy and uneven underfoot – like many a street in modern day Iranian and Lebanese cities – but this one happened to be about 2,600 years old. It ran down to a small harbour, lined by covered stone sewers and drainage ditches on each side, massive door lintels before private homes and a row of shops and warehouses and possibly a temple, five streets and 18 buildings over an area of 3000sq m.
I should say at once that this street constructed under Persian occupation is scarcely two miles from my home on the Beirut seafront, one of the great excavations which the rebuilding of the post-civil war city opened up for future generations, layer after layer of Paleolithic, Phoenician, Greek, Roman and Ottoman Beirut. The place was originally known as “byrt” – which possibly means cistern or well, according to researcher Josette Elayi – then it became Berytos in Greek, Berytus in Latin and now, of course, Beirut. The names are sandwiched together like the layers of streets. This street even yielded up terracotta figures of a woman with outstretched arms, probably the deity Ashtart (Or Ishtar). And, true to so much of Lebanese history, Beirut was, in effect, under occupation. In the first millennium BC (875-332BC), all the cities of Phoenicia were under first Assyrian and then Babylonian and then Persian control. Beirut belonged to Sidon – it always seems to belong to someone else – which is now a scruffy Crusader seaside port 30 miles to the south of the modern Lebanese capital. So the coins found in Beirut are Sidonian; the local military power was Sidonian; it was Sidon which dealt directly with the Persians. Beirut was a fishing and trading port, its wooden vessels with their high prows sliding out to Greece, Italy and distant Carthage. Archaeologists have found sycamore wood here, Egyptian blue pigment, marble, silver, iron, jars for carrying Phoenician olives, olive oil, wheat, walnuts, grapes and wine across the Mediterranean. There’s even a stone with a carved graffito of a Phoenician merchant ship, mast fixed with ropes to the sides, two oars tied together as a rudder. It reminds me of the fishing boats carved into the Tudor wood of the old port of Rye, still visible today on the south side of the Sussex churchyard long after the sea has withdrawn from this cinque port. 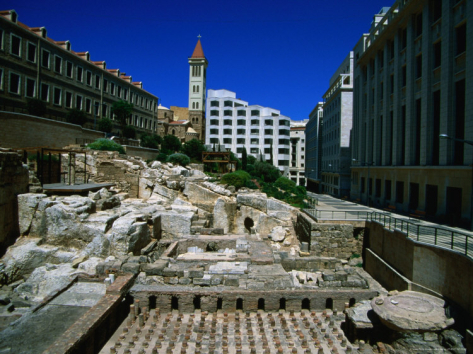 Today, the Persian-ruled city in Lebanon is exposed beneath the new souks of Beirut. It is part of the city’s “Heritage Trail” – in Lebanon, the word heritage means what it says and does not carry the grotty reputation of Britain’s tawdry historical re-creations – so that future generations can walk around the old/new city and “watch” its creation over the centuries in Roman streets and Crusader walls, a project overseen by Amira Solh, the young Cornell-trained urban planner who works for Solidere, the company that rebuilt Beirut. She has dreams of an interactive film display behind the underground Persian streets – and promises me there will be no English-style guides flouncing around in Persian costumes. This is serious history for serious people. Nothing, of course, could be more serious than finding yourself under Persian rule. Roula el-Zein, an archaeologist and consultant for Solidere, described Beirut at the time as “just a small city belonging to Sidon, the city which had all the power”. The Phoenicians, she says, “accepted Persian rule after the Babylonians left, and without any problem in assisting the Persian wars against Egypt. Sidon and Tyre were with the Persian kings” – King Baalshillem the Second and King Abdashart, for those who want to know. But when the Persians decided to attack Phoenician Carthage, things quickly went wrong. “According to Herodotus,” el-Zein says, “the Phoenicians of Sidon refused to build ships for the Persians and help them. And because of this, the Persians never finished their north African project.” It makes sense. Why should the Phoenicians of Sidon and Beirut help their masters attack the Phoenicians of Carthage? 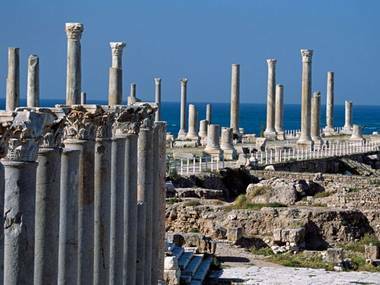 It would be left to the Romans (“Carthaga delenda est”) to destroy the city whose remains lie in modern-day Tunisia and whose land was sown with salt so that it could never be reinhabited. It’s always the same when you think you’ve got the Lebanese on your side. First they are your friends – the French thought that after the 1914-18 war – and then they become subversive and upset all your military plans, the amiable historical mosquito that bites you when you least expect it and then poisons you. It doesn’t hurt until you realise what has happened. Message: leave the Phoenicians/ Lebanese alone. Ask the Israelis. And so the Persians should have left the Beirutis to their dyeing trade – there are murex shells and wood charcoal aplenty to prove it – and their fishing boats. In the old Roman cities of Europe – in Rome or at Corbridge on Hadrian’s Wall – I like to run my hand along the rutted highways of antiquity, where the barrows and horse-drawn carts and chariot wheels of history slowly carved their passage into the great stone Roman roads. Humans didn’t just build this; they lived here and travelled here. Those double ruts in the road are fingerprints. And old Phoenico-Persian Beirut has some “fingerprints” of its own. In the old port, now under rue Allenby – another imperial name, victor of Gaza and humble conqueror of Jerusalem – there is an ancient stone bollard, and cut into it are two natural slits, created during the decades of Persian power. They are the marks worn down by the ropes tying Phoenician ships to the quayside, the stone gradually worn away as the hawsers cut into it, pulled back and forth by the same Mediterranean tide which sloshes away outside my home. Kahlil Gibran wrote of Lebanon – ‘Pity the nation divided into fragments, each fragment deeming itself a nation’. Nothing has changed, it seems. Lebanon is being fought over by Sunnis, Shia, and Hezbollah. Some Christian groups are aligned to Hezbollah. Saudi Arabia jointly with Syria is involved in trying to find a ‘peaceful’ solution. Iran is “vitally supporting Hezbollah”. One has to question these three countries’ motives. Druze is another group putting in its two cents’ worth. The Druze carried out massacres of Christian Maronites because of their increasing power, during the times my grandparents lived in Bcharre. Even Turkey still appears to have a stake in Lebanon. Tensions are rising sharply in Lebanon, amid indications that the international Special Tribunal set up to prosecute the killers of former Prime Minister Rafik Hariri may soon issue indictments of members of the militant Shia movement Hezbollah in connection with the case. Despite the dense dust-clouds already stirred in Lebanon by the tribunal and reactions to it, there are fears that the indictments, if and when they come, could still cause real trouble. “Nobody knows what is going to happen, but the Shia in general, and Hezbollah in particular, can’t risk being accused, and it is bound to cause tension with the Sunnis,” said the Druze leader, Walid Jumblatt, who recently detached himself from alliance with [current Prime Minister], Saad Hariri, improved relations with Hezbollah and is trying to stay neutral. “If Hezbollah is indicted, that will affect its image in the Muslim world as the heroic resistance against Israel,” he told the BBC. Mr Jumblatt accused the US and other Western powers of cynically using the tribunal to put pressure on Syria, Iran and others, and of trying to head off a compromise understanding among the Lebanese leaders. While the Saudis and Syrians are looked to as the most influential outside powers potentially able to foster an understanding and prevent the Lebanese factions taking to the streets again, others are also in a position to try to help. The Turkish Prime Minister, Recep Tayyip Erdogan, who had a hand in the Saudi-Syrian rapprochement, is currently on a two-day visit to Lebanon. And on Saturday, Prime Minister Hariri visits Tehran, his first such trip to the country that helped establish and still vitally supports Hezbollah. Tensions have been steadily mounting over recent months as the expected indictments grew imminent, but the situation has been contained by an entente between Saudi Arabia and Syria, who exercise great influence respectively among Lebanon’s Sunnis and Shia. The Iranian ambassador in Beirut has also been co-ordinating with his Saudi and Syrian counterparts to help keep the peace. [Trying to keep the peace? I would love to be a fly on the wall at these meetings]. Lebanese politicians had been hoping that Saudi-Syrian mediation at top level would very soon produce a formula that could be agreed on by the cabinet in Beirut to deal with the repercussions of the expected indictments. But now there are fears that the Saudi role may fall victim to developments inside the kingdom. The monarch, King Abdullah bin Abdul Aziz, was flown to the US on Tuesday for medical treatment. He was personally overseeing his country’s rapprochement with Damascus and their joint sponsorship of peace efforts in Lebanon. The king has temporarily assigned his powers to his half-brother, Crown Prince Sultan, who is himself ailing. Lebanese politicians believe that Prince Sultan and other prominent members of his Sudeiri wing of the ruling family are much less keen on cultivating good relations with Syria. CBC said its months-long investigation was based on interviews with sources inside the UN inquiry and on documents leaked from the tribunal. It said that evidence gathered by the Lebanese police and the UN “points overwhelmingly to the fact that the assassins were from Hezbollah”. 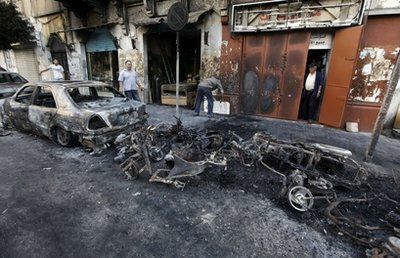 To back that allegation, it contained detailed diagrams showing how investigators traced interlinking networks of mobile phones which they believed led from the vicinity of the massive explosion which killed Rafik Hariri and 22 others, ultimately to Hezbollah’s communications centre under a hospital in Beirut’s southern suburbs. The CBC film had a bombshell effect in Lebanon, where it dominated news bulletins and front pages. It also prompted comments from key players, including Prime Minister Hariri and the international tribunal prosecutor.Israeli Prime Minister Benjamin Netanyahu even held a meeting of his inner cabinet to discuss the possibility that Hezbollah might stage a coup in Lebanon should some of its adherents be indicted. 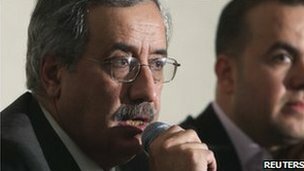 On Tuesday, shortly after the CBC documentary was aired, the Lebanese communications minister Sherbel Nahhas (a Christian allied to Hezbollah) gave a three-hour news conference at which he and other officials and experts showed detailed technical evidence which they said indicated Israel had complete penetration of Lebanese communications, to the extent of being able to plant parasite lines within existing lines. The country’s telecommunications minister said Israel had penetrated Lebanese telephone lines. Hassan Fadlallah, a Hezbollah MP who heads parliament’s communications committee, said three Hezbollah operatives had been detained as suspected Israeli spies until it was realised their mobile phones had been infiltrated. All of this may make it easier for Hezbollah to shrug off possible indictments as Israeli-manipulated falsehoods. The allegation that Col Wissam al-Hassan fell under suspicion has further muddied the waters. As Rafik Hariri’s chief of protocol, Col Hassan would normally have been in the convoy that was hit by the blast that killed Mr Hariri and his entourage. But he had taken the day off to sit a university exam – an alibi that CBC’s sources said was doubtful, and did not stand up under scrutiny. But Saad Hariri, questioned by journalists about the allegations, said he had always had full confidence in Col Hassan, and still did. One of the prime minister’s senior aides went as far as to suggest that both Hezbollah and Col Hassan should sue CBC for libel. Another prominent Hariri supporter, MP Iqab Saqr, said the CBC report should be ignored because it contained “poisoned information, aimed at disturbing the desired settlement”. He said everybody was concerned “not to target Hezbollah politically, while Hezbollah should stop the political assassination of Lebanese”. With both sides apparently impugning the integrity of the court – or at least the CBC leaks – it almost looked as though there were some common ground between them. The tribunal itself – or its prosecutor, Canadian judge Daniel Bellemare – took the unusual step of responding to the CBC documentary, saying he was “extremely disappointed” by it and was assessing its impact on the investigation. This was widely seen in Beirut as implicit confirmation that the CBC had indeed sourced its report on genuine tribunal documents and information. The decision on whether and when to issue draft indictments lies in the hands of prosecutor Bellemare, and it is not clear whether the first step – referring them to the pre-trial judge for confirmation – would be made public. What a mess! All I can say is POOR LEBANON, what will become of you. Kahlil Gibran must be turning in his grave.